The most famous Fluorites from any locality in New England are from the William Wise Mine. Wise Mine fluorites such as this one have a bright glowing green that is not matched in fluorites from anywhere else. These specimens are well-known among collectors for their rich color and gemminess. This piece has a rich green color with surface etching that makes for an attractive specimen. A slabbed and polished Variscite specimen from the well known occurrence at Lucin, Utah. The piece hosts patches of cobweb-like Variscite on contrasting host rock matrix. The matrix contains crystals of what I was told to be Wardite but their yellow fluorescence rules out that species as Wardite does not fluoresce. Variscite is known from dozens of localities around the world, but the specimens from Lucin are amongst the better pieces from the United States. The species is named for the German district of Variscia, which was the medieval name for modern-day Vogtland. 5.1 x 6.1 x 6.4 cm. An unusual example of a cavernous cluster of Epididymite crystals. This specimen exhibits an extremely unusual habit for the mineral Epididymite which is present as opaque, blocky pseudohexagonal crystals up to 7.5 mm. covering a formation that appears to be a cast after another undetermined mineral. Whatever the reason for the formation of this unique specimen, I think that it is a must-have for any collector of Mont Saint-Hilaire specimens. A large, even by Mont Saint-Hilaire standards, Albite crystal. This specimen exhibits a satin-like luster and a most unusual extrusion of smaller crystals on one of its side faces, as can be seen in the middle photograph. Here we present a very rare mineral association. When one thinks about petrified wood, one rarely thinks about accessory minerals that can be found associated with the petrified wood. These remarkable specimens were found in the spring of 2008 by insatiable digger, Ken Gochenouer. This fine specimen features many wheat-sheaf-like bundles of the mineral Barite that measure up to 1.9 cm on a manganese oxide-coated piece of petrified wood. A double-terminated crystal of Laumontite adorned with a jacket of yellowish crystals of Calcite. This specimen is nearly a floater with just one small point of attachment. 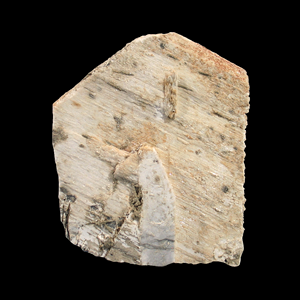 The Pine Creek Mine is considered to a world-class location for examples of this zeolite mineral. This specimen has been stabilized. A sharply terminated, lustrous and translucent Quartz crystal with Hematite inclusions. This Quartz specimen has an interior phantom and exhibits skeletal features on 6 sides. When viewed on end, it looks like a six-rayed starburst. A fine example of old-time Texas material. This specimen features moderately lustrous, pastel-pink Rhodochrosite crystals measuring up to 1.5 cm in size. Accompanying the Rhodochrosite are crystals of oxidized and iridescent Chalcopyrite. Butte Rhodochrosites are true US classics, mostly coming out over 50 years ago. This specimen features pink crystals of Rhodochrosite measuring up to 1.6 cm in size and accented by tiny crystals of Pyrite. Butte Rhodochrosites are true US classics, mostly coming out over 50 years ago. Montana "Dryhead" Agates, with their gorgeous colors and patterns locked inside the surrounding nodules, are prized by Agate collectors. This one shows banding of pink-red & several hues of orange surrounding a contrasting white core and encased in a coffee-colored matrix. A mocha-colored Thunder Egg nodule filled with colorful layers of Chalcedony and Agate. The earth-tones of the nodule serve to accent the red, blue and off-white colored Chalcedony\Agate interior. This location has long been a favorite spot to collect and has been hit hard over the years. These days there is not much to be found there. This specimen features many lustrous & glassy Quartz crystals which makes up much of this piece. One side has a scattering of lustrous, black Sphalerite crystals and a patch of Bitumen. The other side features numerous crystals of creamy-yellow Calcite. Quartz is rare in the other nearby mines of the district. This is classic, old-time material from this mine. Open for only a short time in the mid-1900's the mine closed by the early 1960s. The Deardorff was considered to be THE specimen mine of this period in Southern Illinois. A complete, hemispherical aggregate of yellow-orange Stilbite perched on matrix. This specimen is good example of Stilbite from the US and particularly from this locale. Yellow-orange and slightly rounded crystals of Calcite exhibiting parallel growth. This specimen has a good lustre and is on a matrix of Fluorite. This specimen features needle-like sprays of white Strontianite crystals cascading down a matrix of translucent, yellow-hued Fluorite crystals. 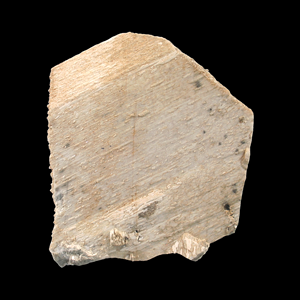 Strontianite is a rare carbonate mineral (strontium carbonate) and one of only a handful of known strontium minerals. Crystals are rarer than the massive forms. Acicular white to colorless Strontianite crystals on a matrix of crystallized Fluorite. The spiky, minute crystals in radiating tufts, as seen on this specimen from the Minerva #1 Mine are a great example of the species from this closed locality. This specimen has a lot of presence. Strontianite is a rare carbonate mineral (strontium carbonate) and one of only a handful of known strontium minerals. Crystals are rarer than the massive forms. This is an intriguing specimen of three generations of crystallized Quartz on a matrix of sponge-like milky Quartz. This specimen features a first generation of tiny, spiky Quartz crystals overgrown by a second generation of larger, translucent to transparent Quartz crystals, followed by a third generation of even larger crystals of Amethyst. A very dramatic and curiously distinct Quartz specimen from a classic southeastern locality. Two very clear Smoky Quartz crystals aesthetically set on a matrix of well-formed crystals of Microcline. A neat feature of this piece is the overgrowth of transparent Microcline that covers the front and some of the top of this specimen. A little edge-wear is noted on the larger Quartz but does not take anything away from this specimen. A very aesthetic matrix specimen of Tourmaline from the pegmatites of Stak Nala. This specimen features a 6 cm, multicolored Elbaite Tourmaline nestled in a blocky crystal of Microcline. What, for me really sets this specimen apart from others are the yellow-colored terminations of two smaller crystals at the base of the specimen. Yellow is a color almost never seen in Elbaite crystals. These yellow-capped Elbaites were from a one-off find in the early 1990's and are very rarely seen for sale these days.